You may want to tackle a Consommé or a Soufflé on day one but you need to learn the basics first. Master the knife and other kitchen equipment, practice your prep and improve the time it takes you to prep food. Familiarise yourself with culinary professional terms. The more you know, the more confident you’ll be and the better you will perform. We hate to say it but practice does make perfect. The more you practice, the better you will be. Practice at work, practice at home, practice where ever and whenever you can. Practice, practice, practice. Decent knife skills are essential in the kitchen. You will need to know how to do the various cuts. Expect to learn cuts such as the Julienne, Baton and Brunoise Dice. You will need to practice these cuts so you are able to do them quickly and efficiently. Have a look on YouTube and practice in your free time. It is important to ask questions when you are new to the kitchen. Rather ask and be clear on what is expected of you than to just go ahead and make mistakes. Keep a notepad to hand so you can jot down notes such as recipe information. Listening is one of the most important skills. Listen to what the more experienced chefs are telling you and learn from them. If they are teaching you something or asking you to do something, listen and take the information in. 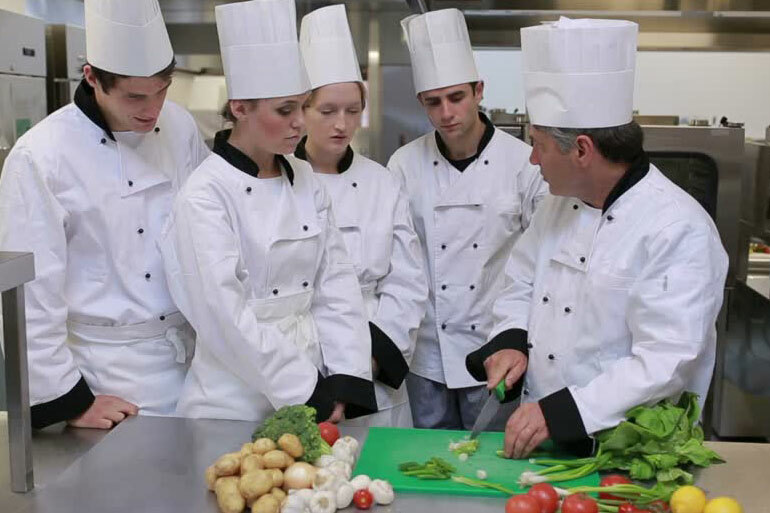 A great chef never stops learning, the above points are a great place to get started. Perfect the above skills and you'll be off to a great start in the kitchen!